So you couldn’t find it in your advertising budget to throw down the $4.5 million for a 30-second commercial in Super Bowl XLIX like these guys? We understand. But we’re also here to let you know that you can still come out on top through alternative advertising and marketing methods on social media during the big game. There are plenty of ways to ensure that your brand message will be heard through all the noise of the Super Bowl on social media, but you have to commit ahead of time. Think about it-there are 184 million viewers that could potentially come in contact with your brand. But you have to have a strong brand voice and a solid game-plan (pun intended) in place so that your content is sharable. Are you on board? Let’s engage. When it comes to big events like the Super Bowl, a good rule of thumb is that 80 percent of potential content should already be created, approved, and placed into specific draft folders before the game starts. How is that possible? Sit down with your creative team and write out scenarios that are likely to happen during the game. Have content pre-approved for interceptions, touchdowns, questionable calls, etc. as well as content ready about key players (not only their football capabilities- think mannerisms, celebration dances, physical traits) so that when something happens your team is already prepared. It is also important to think of a few scenarios that could happen that DON’T have to do with football (just in case). This content should link back to your brand in a creative way so that not only is your brand being relevant, but it is at the same time being new and fun. When it comes to interacting during important live events, it is better to overestimate the content you may need than to be scrambling for content. Butterfinger did a great job of this in the 2014 Super Bowl by immediately posting pre-made content when the game started out with a safety. With 80 percent of content pre-planned and pre-approved, you are left with 20 percent of your content to be reactive and in the moment of when things are happening. This is when your creative team comes into play. They are able to focus on the more unexpected events and turn them into something your brand can capitalize on. 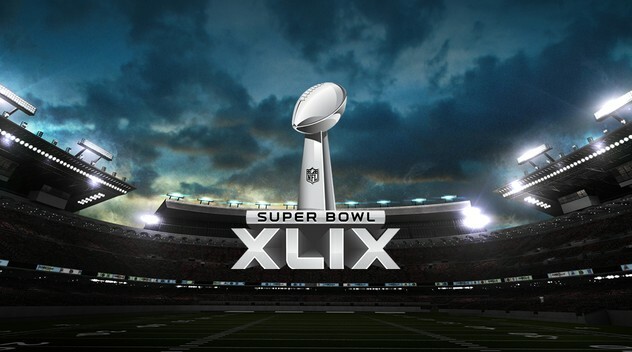 Long gone are the days of secrecy that brands used leading up to the Super Bowl. Instead, companies today are choosing to engage fans earlier on and create deeper story telling lines that they can share with users on social media in order to build more hype about their brand during the event. Let your following know that you will be participating in the “social” Super Bowl without explicitly saying so by releasing content before the big game. Engage your fans through polls on who you think will win on Facebook, hosting contests, and posting creative content that are appropriate for your target audience to “like”. The most important thing to remember about pre-game content is that it should give your audience something to look forward to- so entertain them! This is a given, but brands that come out on top during Super Bowls past have almost always had Social Media Campaigns in place. Theme and tone needs to stay consistent, and messaging should be clear. We aren’t going to go in depth into how to create a social media campaign, because you already know how to do that. However, this year there are two important concepts that you need to keep in mind while posting your content on Facebook. – Advertise on Facebook with their “Big Game” Segment– This year, Facebook is capitalizing on the Super Bowl by creating a “Big Game” targeting segment that allows brands to reach more people that are engaging in Super Bowl conversation. According to Marketing Land, Facebook stated that the segment will “include people beyond just football fans, including those liking, commenting and sharing content related to party planning, recipes, flatscreen TV purchases, conversations about TV commercials and other topics surrounding the game.” The article also stated that “The segment will be updated frequently ¬– growing and changing dynamically as more people become engaged with Super Bowl topics– in the remaining days before the game and throughout Super Bowl Sunday. This is something to keep in mind if you are planning on releasing “football themed” ads on the book. Find the segment through the Facebook interface in the “Behaviors” section under the “Seasonal and Events” category. – Plan to BOOST– If you believe that one of your ads or posts are especially strong, and are getting a lot of engagement on them, plan to boost your post to keep the momentum going. Facebook- 1, Wallets- 0. Still worth it. Every brand wants its Oreo moment, but you aren’t going to achieve it unless your creative team brings its A-game to play on the real time engagement field. If you want to score big time, you’re going to have to have a social-command center. Have a real-time engagement strategy in place so that theme, tone, and voice are all consistent on your reactive posts. Also ask yourself “Who will share this post and why” for every post you put out. Here are some other tips when it comes to real-time engagement during the big game. – The most appropriate channel to flood with real-time updates is Twitter- don’t flood your other social channels with all of your updates. -Tweet about the game itself, but always ask yourself how things can relate back to your brand and try to apply that as often as possible. Ask your fans to engage with simple things like “RT if both feet were in” tweets and other applicable requests during questionable calls. Always include hashtags. -Get weird. The super bowl is a chance for you to be a little more edgy with the content that you are posting. Make sure to monitor competition’s tweets, and keep other brands in mind. Follow what is trending and JUMP IN ON THE CONVERSATION! In good-hearted fun, call people and other brands out! If your brand can boast about something and relate it to the game, do it! If there is another JC Penny incident, call them out! Engage with competition! Be clever! Make people talk about your brand. Make people laugh. •Know your target audience…and from that predict what their behavior is going to be. Will they be watching the game with their family, or getting rowdy at the bar with their friends. From that prediction, give them more of what they want to see. Hint: it must be entertaining. Another hint: drunk people love dumb humor. • Dumb content doesn’t come out on top just because it is dumb. These ads had a lot of thought go into them. • If someone else has already done it, come up with something different. • Don’t forget to measure your efforts so that next year you can be more successful. SayItSocial offers an abundance of digital media strategies including creative and social campaigns. Don’t know where to start? Let us help you out!